Some people have asked what is a GODpillow? Well the answer is simple, it is BOTH a prayer kneeler and a meditation bench. The reason why I have two different categories is simple, people identify differently to both of those intentions. To me, I am not attached to the posture of kneeling or sitting in meditation – what is important is the ability to be still. In order for me to be still, I must be comfortable, AND the reason to be still? To hear God speak….hence the GODpillow. Also note: Inspirations may differ in those Prayer categories, and those of Meditation Categories…check out both! 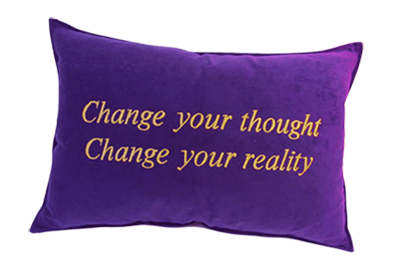 Now the Inspirational Pillow is a throw pillow with embroidered messages- which evolved for those who do not, or will not kneel in prayer or sit in meditation . For me the pillow is a mental door opener – it allows one to pause..in order to read it..who knows where that intention will lead…maybe a prayer or a moment of contemplation. So browse around, get involved in prayer and meditations, and feel the transformation. Share your story we are anxious to hear the healing that happens. GODpillow is a GOD-CENTERED and is not affiliated with any sect, denomination or organization. GODpillow gifts promote healing through "prayer & meditation." Our product range includes prayer kneelers, meditation benches and inspirational throw pillows. Whether in 12 Step Recovery, a yoga practice, or a spiritual gift-giver, we have over 91 embroidered messages just for you! Or customize your own inspiration! Thank you for making us a part of your spiritual journey. I purchased a purple Manifest/Namaste pillow and a prayer/meditation bench today at the Valley Forge Mind Body Spirit Expo. I am sitting on the “Abundance” Bench now writing to you on my laptop and looking at my pillow. I love these items and I can’t wait for my fellow yoga Teacher friends to see them this week when they come to my house and practice. Your GODpillow is really fantastic. 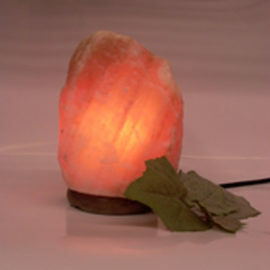 It is perfect for meditation or prayer. I haven’t meditated i months due to minor back problems. Now, I sit straight and easily. Using the GODpillow to meditate allows me to sit for an hour without any discomfort. the colors and words of inspiration personalize my experience. I feel I meditate with more intention. Thank you, God bless you for creating a beautiful gift. My name is Clark C and I am an alcoholic and drug addict and when I got sober my boss gave me a GODpillow. I kneel on it every morning and every night. My connection to God has become stronger due to my GODpillow. I believe God looks at me getting on my knees as a “willing” action. Since I started praying on my GODpillow my life has done a 180. I have a great job, became a great Dad again, fallen in love with my high school sweetheart 8 months ago. I tried to take my life I thank God I failed!!! I love the GODpillow and I love that Cindy is a freind of mine and I wish her success.